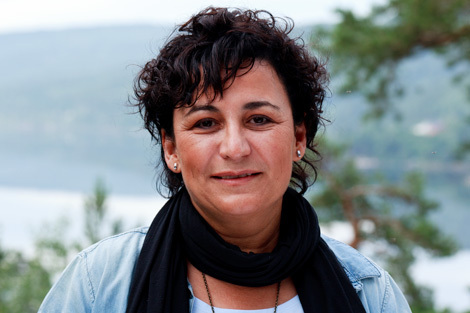 When a friend recommended Acem Meditation, Josefina decided to give it a try. The first experience made her feel this was something she wanted to go for. She would like to practise the technique in her everyday life – not just try it for a short time. “It gave me more energy and a different perspective on some important areas of my life,” she says. Josefina likes action. She was the first person to register for the International Summer Retreat in Norway – almost a year ahead. As a warm-up, she joined a follow-up course and a weekend retreat in Spain. After the retreat, she decided to make some positive changes in her life – not new rules, but a new direction. She now eats healthier food and has cut out the small number of cigarettes she used to smoke. Even before the retreat, Josefina had got involved in the beginner’s courses in her hometown, Barcelona. She had spent time in England, and her good English was a great asset at courses led by Norwegian instructors with limited command of Spanish. This was particularly important in spring 2010, when several hundred people learned Acem Meditation in Barcelona in the course of a few weeks. She insists that helping is a pleasure, and finds that she has learned a lot from assisting different instructors. Josefina is now undertaking training to become a moderator of follow-up courses in Spain. Nice article. The feeling that the meditation is something one would like to commit to and not just do it for some time, for a particular goal, is something I relate to as well. Nice experiences, difficult experiences – they are not as important as the inclination to make the practice a daily feature in one’s life. In each meditation we give ourselves the opportunity to gain access to the unconscious a little bit more. This knowledge implies taking charge of oneself. And, therefore, the commitment to meditate regularly I guess is the best investment I have made. Me gustaría saber como puedo asistir a un curso para beginners en Barcelona. Acem meditation is more use to me. Siento no haberte respondido antes, no he visto tu pregunta hasta ahora. Para cursos para principiantes en Barcelona puedes acceder en la web http://es.acem.com, en la pestaña “calendario”. También encontrará los enlaces de inscripción para cada uno de los cursos. Se paga en efectivo el primer día del curso. Si necesitas información adicional, puedes llamarme en el teléfono que se indica en la web.